, this includes advanced protections against phishing and malware attempts. Keep reading for more information on these new settings and how they’ll be rolled out to your organization. 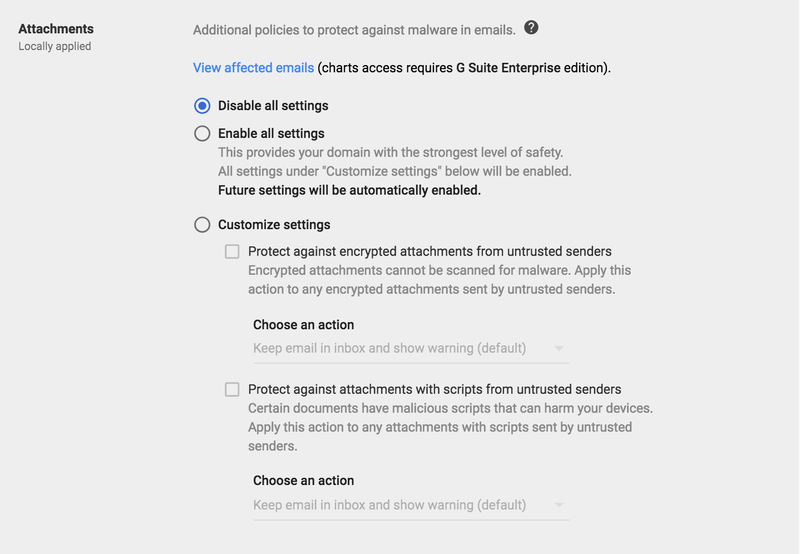 Following this launch, you’ll notice the new settings below in the Admin console under Apps > G Suite > Gmail > Safety. Each can be enabled, disabled, or customized. If you don’t want these settings to be turned on automatically on April 4th, you’ll need to disable or customize them prior to that date. For more information on these new settings, please visit the Help Center. Note that G Suite Enterprise customers can view charts related to these settings in the G Suite security center, and the Security health page will warn them if these settings aren’t enabled. We recently introduced several features for G Suite to help keep your data secure. 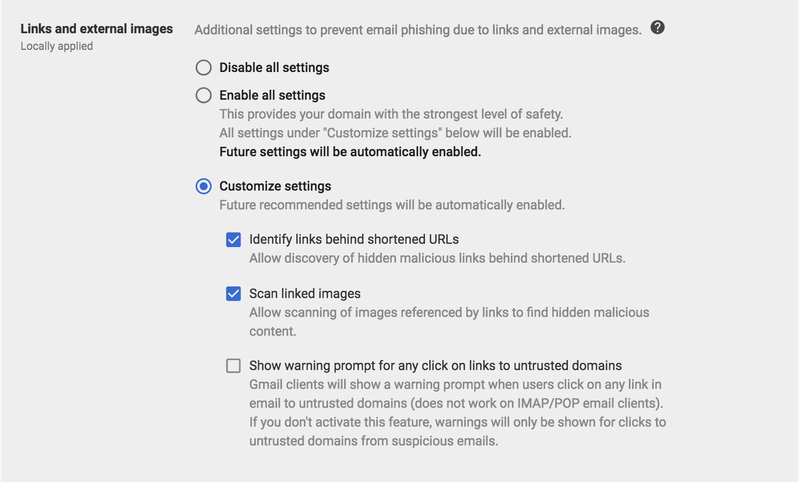 As described in our earlier post, this includes advanced protections against phishing and malware attempts. Keep reading for more information on these new settings and how they’ll be rolled out to your organization.